Recent lawsuits involving community associations have created quite a stir among condominiums and homeowners associations, as owners have alleged in the suits that law firms and associations are improperly seeking to collect unpaid assessments, interest and other charges in violation of Florida law and the governing documents of the associations. The lawsuits seek to recover significant amounts due to demands for what are claimed to be excessive and unlawful charges. For example, in the case of USA v. Keys Gate Community Association, Inc. which was filed in February, the government sued the association after the U.S. Department of Housing and Urban Development (HUD) obtained title to a foreclosed home in the community. The government’s lawsuit alleges that the association sought to collect an improper amount of assessments, interest, late charges, attorney’s fees and costs from HUD as the new owner. 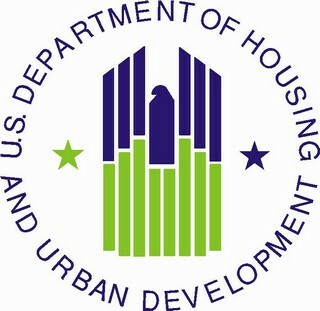 The suit includes assertions that the claim of lien was invalid because it encumbered the subject property for more money than HUD was legally required to pay, and it further alleges that the claim of lien violated Section 720.3085, Florida Statute, in that it failed to itemize any of the charges claimed to be owed by HUD. The suit claims, among other things, that claim of lien prevented HUD from being able to sell the property, and alleges numerous causes of action for slander of title, tortious interference with business relationship, breach of contract, and declaratory relief. Similar claims regarding the collection of unpaid assessments and other charges have been alleged against other community associations by foreclosing banks as well as investors who acquire title to properties. Florida is not alone, as other states, including Nevada, are also seeing lawsuits pertaining to collections practices and lien amounts. The lesson here for community associations is to work closely with management and attorneys in order to ensure that the association is seeking to collect proper amounts from owners, and to comply with statutory safe harbor limitations as well as any limitations set forth in the association’s governing documents, if applicable. This will enable associations to avoid lawsuits which could potentially force them to pay significantly more in damages than the amount in dispute.